On the heels of Drew Brees’ passing records, the Saints concluded the regular season scoring more points and totaling more yards than Kurt Warner’s Rams, “The Greatest Show On Turf”, from about a decade ago. Which makes New Orleans having had the most prolific offense, statistically speaking, in league history. Ever. The Saints? Who’da ever thought ‘dat would happen? Though impressive on a resume, the post season could care less about statistical records. In fact, graveyards are filled with record breakers, such as those Rams getting upset by the Patriots in the Super Bowl, and New England losing to the Giants to spoil their unbeaten season in ’07. Nevertheless, we’ll take it. This is setting up to be a grueling playoff tournament for the Saints. Ideally it will go four rounds, and it starts Saturday night at home against Detroit, who lost here 31-17 on December 1. In that game, the Lions helped beat themselves with stupid penalties that indicated lack of control, or discipline, as the media likes to call it. The Lions are an ascending team, and have improved each of the 4 seasons that Jim Schwartz has taken over as head coach, going 10-6 this season. They were built with a typical modern pro template, a young quarterback, a star receiver (nicknamed Megatron), and high draft picks for the defense. Like the last 8 opponents thoughout the Saints’ winning streak, Detroit will do things against New Orleans, particularly early in the game. The Saints’ trend has been to trade scores with opponents, like they did against Carolina last week, until about the middle of the 2nd quarter or halftime, and then pull away. They have simply had more high grade fuel in the tank than their opponents as the games have wore on, and when getting scored on, the Saints have not lost significant momentum, which is unique. Indeed, in the first half at least, Saints games remind one of Sly Stallone and Clubber Lang stagingly trading punches in Rocky. But we know who is going to win. Though it lacks getting the turnovers like the ’09 bunch, their defense tends to play better in the second half. The most points they have given up in the last half of the season is 24, and many of those have been meaningless late scores. It’ll will be interesting to see how this all plays out in the finality of a single elimination contest. A surprise from the ’09 team in the post season was them discovering a pass rush from their front four, it having been negligible that year. The Saints abused Kurt Warner and Brett Favre in their title run. The Saints haven’t put much pressure on the quarterback again this year, but non-household names that are candidates to make themselves known in rushing the passer (can’t stand “step up”, such a cliche) with this year’s defense are ends Junior Gallette (#93), Cameron Jordan (#94), and Turk Mcbride (#90), as well as rookie linebacker Martez Wilson (#95), a rangy type who gets after it. If these guys get their names called periodically on the loudspeakers this post season, it’s really good news for the Saints. The key for New Orleans’ defense is holding opponents to field goals rather than touchdowns when they are in scoring territory. Offensively, well, as the stats indicate, the Saints are simply better than the ’09 unit, largely because of the addition of Jimmy Graham, Darren Mighty Mouse Sproles (another record breaker for total all purpose yards in a season, ever! ), and Chris Ivory at running back. Drew Brees’ greatest attribute is not his records, but his ability to quickly read coverage and find the open man, whoever ‘dat happens to be. 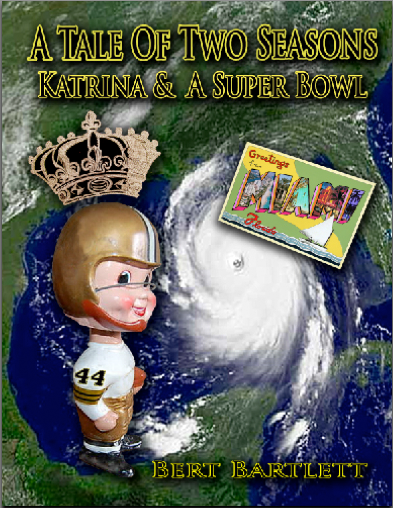 In 2010 the Saints defended their title well, only to slip on a banana peel out in Seattle in the first round. Because of that experience, the likelihood of the Saints being emotionally flat or looking ahead on Saturday night are remote. All Systems Geaux. A worrisome variable is Detroit defensive tackle Ndamukong Suh. He was suspended the first time these teams played because of dirty play, and has made more headlines for that rather than his talent, which is considerable. If he somehow puts a cheap shot on Brees…..oh, never mind. The media coddles traditional franchises like the Packers, Steelers, and Patriots in the post season. NBC TV’s Rodney Harrison broke the ice when he commented the Saints are going to the Super Bowl on Sunday Night Football. Now, Peter King of Sports Illustrated thinks the Saints are headed there too, to play New England. King’s handicapping has been known to be off though; he picked the Saints third or so in their division in ’09, with a 7-9 record or something. Whatever is said about them, or not, what’s encouraging about these Saints is that not much seems to bother them. It’s a confident, seasoned outfit. ‘Dat’s as much a reason to be optimistic about their title chances as anything, despite the long, winding road it will take to travel to get there.